If life was a game and you were a barrister, then this would be a perfect representation of your life. 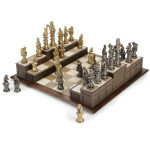 With a price that only a barrister would be able to afford, The Barrister’s Chess Set is a whopping US$800 dollars. 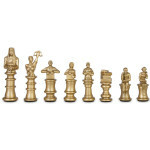 Nonetheless if you’re interested in the market for high-end chess sets, look no further. 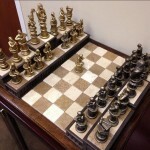 The board is constructed of cold-cast bronze and Italian travertine tile. 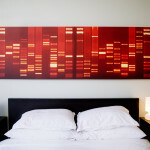 The board mimics the raised bench and jury box of a courtroom.